Savannah Center for Blind and Low Vision is committed to providing high quality vision rehabilitation services. Each student participates in a curriculum that is designed to meet their individual needs and desires. The first step in the process is an initial interview. We will talk with you about your vision and areas of concern. At this time an application for service will be completed. You will receive a full explanation of our services and how we can help. Most people coming to Savannah CBLV have some level of usable vision. If you are in this category, a low vision examination is the next step. Our low vision doctor will work with you to maximize the functional use of any vision you have. The doctor will make recommendations for devices and training based on the results of the examination. If vision rehabilitation training is recommended, you will receive an evaluation by our training staff to determine your needs. During the evaluation you will work directly with staff in each of the training areas to determine if training in a specific area is appropriate. Based on the results of the evaluation, a training schedule will be determined. Classes start at 9:00 am and are over by 3:00 pm Monday through Friday. 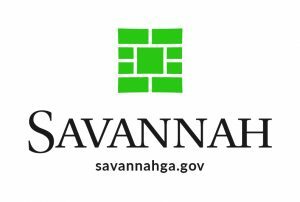 Savannah CBLV will cover the cost of transportation and make the arrangements so you can come to classes each day. If you, or someone you know is interested in a low vision examination or vision rehabilitation training, just complete our Vision Consultation Form and we will contact you. We would like you to know that the information your provide will be kept in the strictest confidence and will not be shared with anyone outside of our organization. Your privacy is very important to us and we will do everything within our power to protect it.